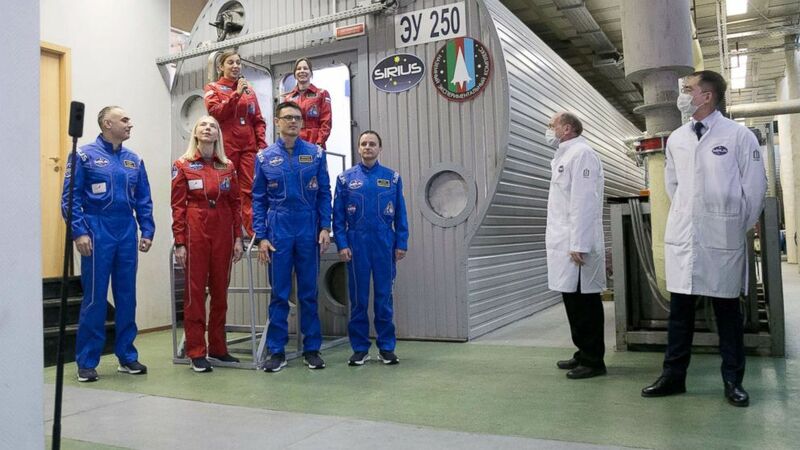 A group of American and Russian volunteers this week were sealed into a collection of mock space modules in Moscow at the start of a four-month isolation experiment intended to simulate a mission to the moon. 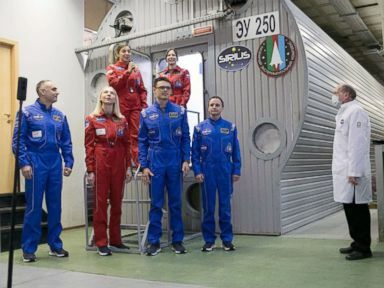 The mixed gender crew on Tuesday began their imagined flight inside a brown brick building on the edge of the city center at a Soviet-era facility run by Moscow’s Institute of Biomedical Problems. There, they will be confined to a collection of cramped tubular constructions inside a hangar-like hall at the institute for 120 days. The modules are hermetically sealed, meaning they have their own atmosphere, and the crew will not leave or see any other human beings for the duration of the mission. The simulation, called SIRIUS-19, is an unusually lengthy isolation experiment organized jointly by the Russian Institute and NASA. It one of a number of international experiments underway that’s intended to help inform plans for future deep space travel by studying the physical and psychological effect of months-long isolation. A few months ago, Reinhold Povilaitis sold his apartment in Arizona and put his belongings into storage before joining the experiment in Moscow. Povilaitis, 30, a researcher at the Lunar Reconnaissance Orbiter Camera at Arizona State University, works on finding possible landing sites for future moon missions. He will now be living in close quarters with his five other crew mates, another American and four Russians. His home over the coming months is known as the Ground-based Experiment Complex or the NEK. The facility has been in use since the 1960s, when it was purpose-built for such simulations. Though some date from the 1970s, those used in this experiment have been renovated. The modules are linked by metal tunnels that have to be crawled through, sealed off by hatches modeled on those from Russia’s Soyuz spacecrafts. The living quarters are roughly about 40 meters squared — a long corridor with submarine-like cabins that contain a tiny desk, a cupboard and a bed. A kitchen area is furnished with just a microwave and hot water. A common area for relaxation has some beanbags and a large television. Povilaitis and Anastiasia Stepanova, his Russian crew mate, were unfazed by the confined space. “It’s bigger than my apartment that I left,” said Povilaitis. The team’s mission is multi-stage. First, they must make the 10-day flight to the moon, where they will simulate docking with an orbital station. Two of them will then leave the living modules, landing to the “surface” of the moon — another enclosed area where the two explorers will wear virtual-reality goggles as they collect samples and fix a damaged moon rover. New modules will open to the crew as they progress. Now sealed inside, the team will receive food and supplies through an airlock. Intelligent lighting will mimic daylight on Earth, dimming and brightening as its follows sunrise and sunset. The living areas are clad entirely in light wood, a surrounding found to be more soothing for crews than the metal of spacecraft. “It looks like a sauna,” laughed Stepanova, who is also junior researcher at the institute. The crew’s contact with the outside world will be limited to communications with “mission control” and sending emails to their loved ones via the project’s psychologists. To entertain themselves, the volunteers can watch movies and listen to music, as well as exercise on running machines. All the common areas are covered by multiple dome-shaped cameras that will record the crews’ interactions with one another. There is some privacy — the cameras are not in the sleeping cabins, the toilets or the showers and they will only record sound on specific days. Igor Kofman, who represents NASA’s Human Research Program in Russia and is helping to oversee the project, said scientists would be looking to see how isolation affects physical and psychological performance. 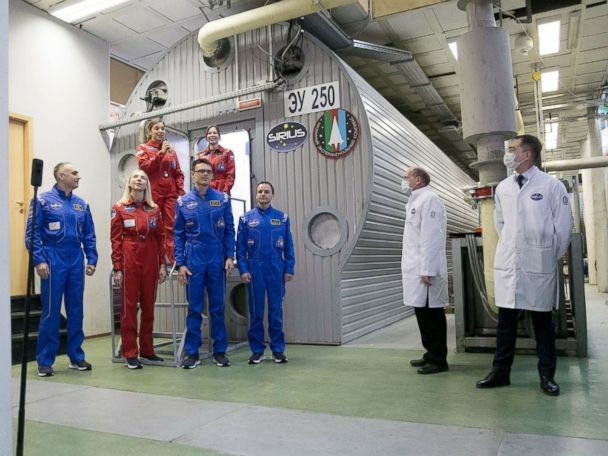 The Moscow experiment is one of a number of isolation simulations going on around the world as countries have begun to look in earnest toward flights to the Moon and Mars. NASA is leading an international project to develop plans for the so-called Lunar Orbital Platform-Gateway, a space station orbiting the moon that can serve as a jumping off point for deep space flights. Russia’s space agency meanwhile has set itself the goal of landing cosmonauts on the moon in the mid-2020s and to establish a permanent base there by 2040 — an ambitious goal that many experts question is possible given the current troubled state of Russia’s space industry. One of the unusual elements of the current experiment is the amount of technical simulation it involves. The crew will have to dock and receive supply ships, among other tasks, meaning, incidentally, if they fail to dock the supply shipments they will go short of food. The current experiment is far from the longest held at the NEK. The Mars-500 mission organized by Russia, China and the European Space Agency between 2007 and 2011 lasted 250 days. Stepanova and Povilaitis have both participated in space-themed isolation experiments previously. 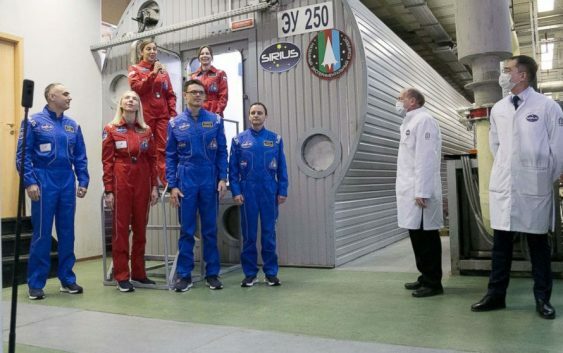 Two years ago Povilaitis took part in NASA’s Human Exploration Research Analog or HERA program, a 45-day simulation at the Johnson Space Center in Houston. His team though only completed two weeks before Hurricane Harvey forced them to evacuate. That experience made him jump at the chance to join the Moscow experiment when it came up.